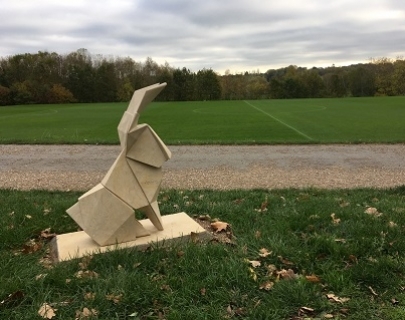 Régis Chaperon (born 1974), Hare, 2018. University of Warwick Art Collection. Duration: 60mins Performance Extras: Advance booking essential. Please meet at the Creative Learning Space and dress appropriately for walking outdoors. Join one of the Mead Gallery curators for an hour-long walking introduction to a selection of the sculptures, including Barry Flanagan’s Acrobats.